Ian & Kate Storr of Caravan Hire Co. have over 17 years’ experience in the caravan and tourism industries. They have worked for Jayco for many years, managed caravan parks and toured around Australia on an extended trip in a caravan. This has given them sound knowledge, experience and a vast network for people to assist in providing you with exceptional customer service. 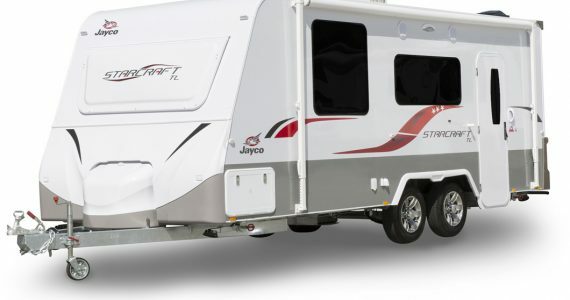 The hire fleet of 10, consists of all late model Jayco caravans, from 2016 to 2018 year models. They are all kept very well maintained and are very clean and tidy vans. Solar panels and leatherette are optional extras that have been added to all the vans, making free camping a breeze. Hiring a caravan is a much cheaper alternative than purchasing your own depending on how often you are actually going to use it. Avoid storage problems, annual insurance, maintenance and registration cost by hiring a modern Jayco caravan instead. Set up and Stay is another great option to take advantage of. We will deliver the caravan to site, set it all up for you and then when you are ready to leave we will come and pick it up for you also. We can also deliver to your home in Melbourne or Gippsland. Fees apply. Caravan Hire Co are Gippsland's caravan rental specialists. With over 15 years experience in the tourism industry, we provide the latest model Jayco Caravans for hire. Servicing Melbourne, Gippsland and the Latrobe Valley, through Bairnsdale, Sale, Traralgon, Warragul, Drouin, Morwell, Moe, Churchill, Trafalgar, Yarragon and Rosedale. © Copyright 2019. Caravan Hire Co.